As you probably already know, October is Breast Cancer Awareness month. 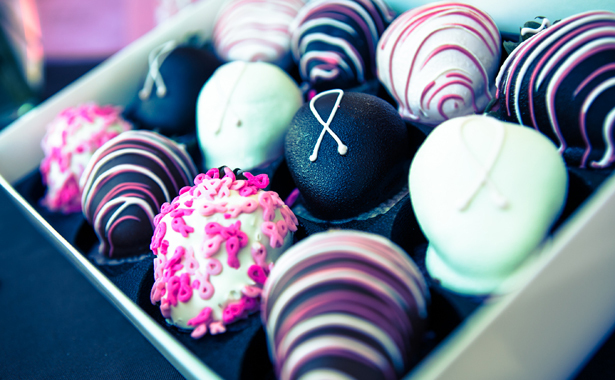 Here at Shari’s Berries, this cause is near and dear to our hearts. For us it’s more than just pink berries. It’s about changing the lives of our community members and co-workers. Originally founded for the 2002 Susan G. Komen Race for the Cure, our company‘s team has now reached more than 150 volunteers dedicated to helping Komen save lives and end breast cancer forever. Since 1982, Komen has invested more than $1 Billion in breast cancer research. Each year, employees from Shari’s Berries and our sister brands at Provide Commerce join to form “Team ProFlowers.” We organize raffles, potluck lunches, auctions and even haunted houses to raise funds and help support the search for a cure. 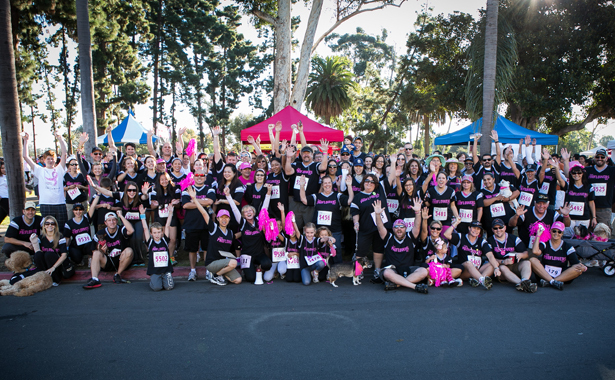 And Team ProFlowers is proud to be the number one corporate fundraising team in San Diego for the past eight years in a row, raising more than $325,000 to date. In addition, we donate 10% of the sales from our Pink Ribbon Collection cookies and dipped strawberries to Komen for the Cure, year ‘round. As a result, we are San Diego’s first million dollar Komen Council Member.